Twitter #music. #WTF? Twitter throws it’s app into the music ring. Didja hear about the new Twitter #music app? No, that’s not a mistake. I know didja is not a word. I’m talking about the name of the app. Yes. The hashtag is part of the name. They’ve taken this hashtag thing too far! Anyway, today Twitter released it’s new music discovery app with an exclusive on Good Morning America. Write-ups in TechCrunch and Wired said that the app helps you find new music. And I was curious to check out Twitter’s entry into the music biz. So I downloaded the app and put it through its paces. When you download the app, you’re presented with four tabs. 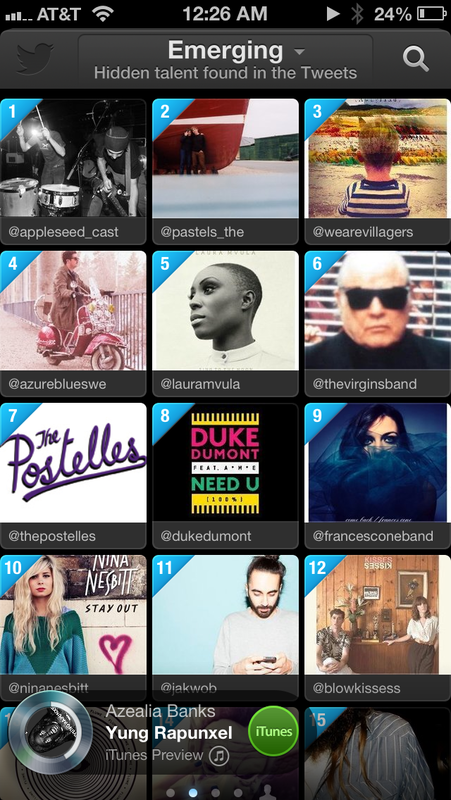 Twitter Charts, Follow Artists, Tweet Tracks and Listen Now. Don’t bother pressing the icons. They don’t do anything. Getting to each tab is as simple as a swipe. Well, its supposed to help you find music and artists you like. To get started, you’ve got to click “Listen Now” on the fourth tab. I pressed the little icons from the home screen like a moron (think Ben Stiller and Owen Wilson in Zoolander) before I realized how to use the damn thing. Frustration aside, Twitter #music isn’t half bad. If you select Popular (highlighted on the Twitter Charts page), the app will show you music that’s trending on Twitter. Select Emerging (similarly highlighted) and you’ll find hidden gems that folks are posting in their Tweets. Find hidden talent in your tweets. Sign in, and you can now share your music preferences with your followers. And peep music from artists and friends. Now don’t get it twisted, Twitter #music isn’t Pandora, Last.fm or any other streaming music service. You’re only getting snippets of the songs. But if you want to listen to the whole song, you can sign in to your Spotify or rdio account. Hear something you want to own, you buy it right from iTunes. I was lost for an hour messing around with this damn thing. I dig the UI for the app, which is clean and polished. Aside from the Zoolander landing screen/tabs thing, everything else works intuitively. Menus are easy to get to. And navigation is a breeze. I guess that’s what happens when your beta testers are artists and music industry insiders. If you’ve got cash to burn, you can really get things right. Twitter’s follow-up to Vine is a doozy. 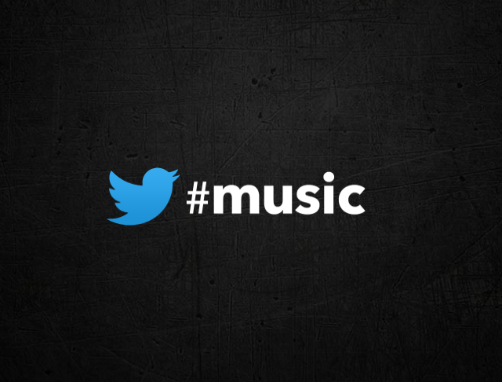 I predict that Twitter #music is going to #takeovermusic. Cop the app for yourself and you’ll see.